By Peter Anderson Leave a Comment - The content of this website often contains affiliate links and I may be compensated if you buy through those links (at no cost to you!). Learn more about how we make money. Last edited January 18, 2019 . I‘ve had several different mobile providers over the years, and for the most part I've been pretty happy with all of them. When the screen on my old phone cracked recently, I decided that I wanted to find a plan that cost just a little bit less. I was only paying $20/month for phone service previously, but I was able to find a new mobile phone provider that would cut that monthly cost in half for similar service! The new provider that I'm trying? Tello Mobile. How Is Tello Working Out? I've written a lot of content on this site about how to cut your regular recurring expenses by switching to providers that give comparable service for a lower price. We've saved hundreds (or maybe thousands now?) by changing our mobile phone provider and switching our home phone to a VOIP provider. A while back ABC reported that the average American spends about $1,000 a year on his or her cell phone bill. 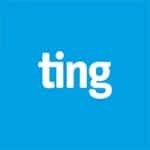 In addition analysts estimate that 80 percent of American wireless subscribers are paying their mobile provider $200 a year for excess minutes, messages, and mobile data that they never use. When you add it all up, it comes to over $52 billion of waste a year! Americans are paying far too much for their wireless plans, and using far too little of what they're paying for. So why not switch to a low cost provider where you can pay only for what you're going to use? A while back I discovered a low cost provider that would enable you to do just that, Tello Mobile. Their mobile plans are customizable and you can get service for as little as $5/month! Today I want to take a look at Tello Mobile, what they have to offer and how you can use them to save. 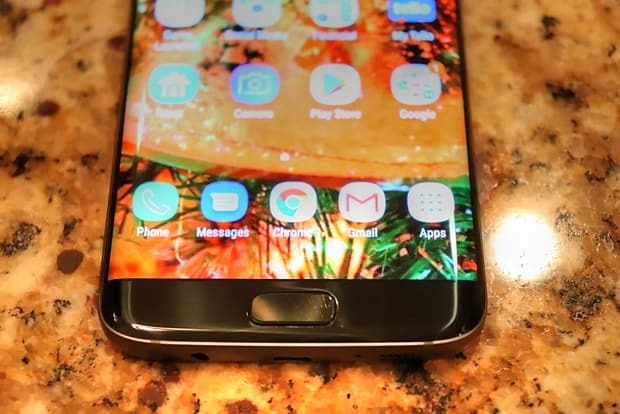 I'm also going to do an unboxing of my new Samsung Galaxy S7 Edge that I received in the mail from the good folks over at Tello. So let's get started. is a wireless communications service provider that was just launched in the US market a couple of years ago. It has been available in the UK since 2014, and both the US and UK versions of the company are offshoots of KeepCalling, an international telecommunications company registered in 2002 in USA. KeepCalling has been listed by Inc 5000 as one of the fastest growing companies in the United States for 5 consecutive years. So while they're new(ish) to the wireless provider game, they've been around for over a decade as a company – so they're no flash in the pan. Tello Mobile is a mobile virtual network operator, or MVNO. That basically means they do not own and operate their own wireless network infrastructure. 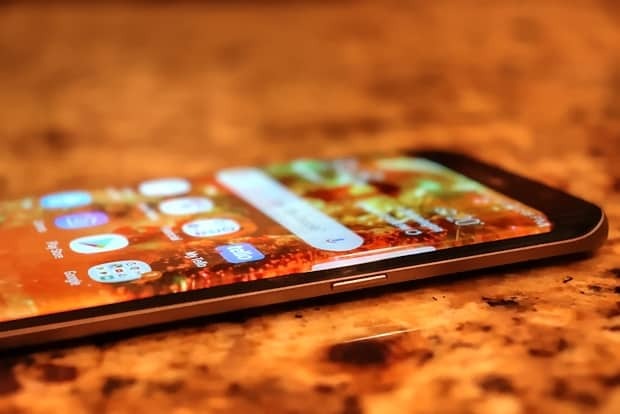 They rent space on an existing mobile network from a mobile network operator, typically one of the big companies like Sprint, AT&T, T-Mobile, etc. In this case Tello uses CDMA service from Sprint. Since they don't have to keep up the network and are only renting space on the network, they are able to get wholesale rates and pass some of the savings on to us. I've been with other Sprint MVNOs in the past and we get great coverage in our area. If you're wondering if you get good coverage with Tello in your area, click on the link below and then click on “support/coverage” to view a coverage map. So here's where the rubber meets the road. What calling plans does Tello Mobile have available? What is it going to cost? Tello has monthly plans that you can sign up for with extremely competitive rates. In addition they have pay as you go credits that you can purchase, and pay only for what you need. 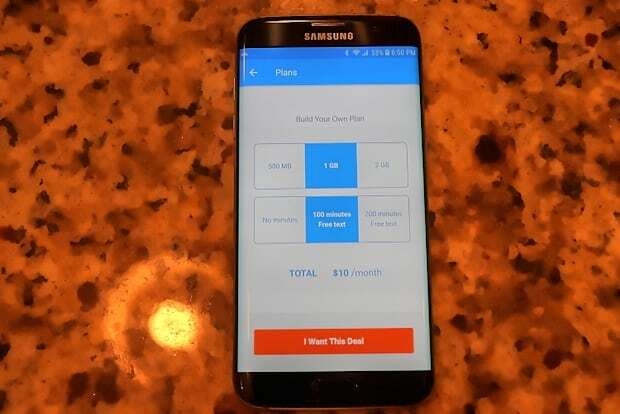 The plans with Tello start at a minimum of $5/month for 100 minutes of talk, unlimited texts and no data, and it goes all the way up to $39 for a 10GB unlimited talk/text plan. I signed up for Tello to replace service with my old provider, and I knew I wanted the cost to be a bit lower than before. 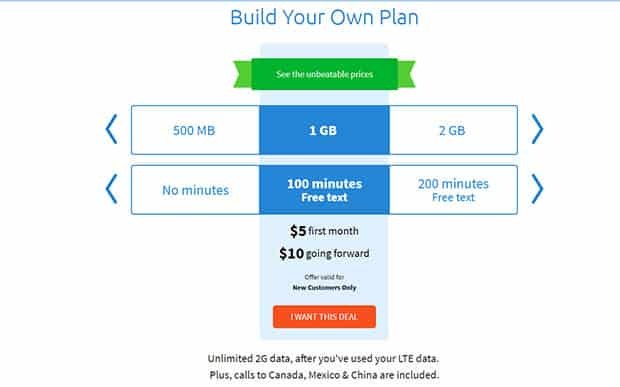 My old plan was unlimited talk/text with 1GB of data for $20/month. With Tello I can do better. I knew that I didn't use very much talk time on my phone, less than 100 minutes in most months. With Tello you can choose plans where you have 100, 200, 300 or 500 minutes of talk time. For me the 100 minutes of talk time is perfect, so I signed up for the $10/month plan with 100 minutes of talk, unlimited texts and 1GB of data. If you don't want to build your own plan they have some pre-set plans you can choose from. With whatever plan you choose you'll get no contract, no hidden fees whatsoever, and you can reconfigure your plan at any time with no extra fees. Plans renew automatically every 30 days, and you can cancel your plan at anytime, without any charges. If you prefer you can also use the service by using “pay as you go credit”. Basically you add $10 or more to your account, and you can then use that credit balance for calls, texts and data, as well as for international calls and texts. 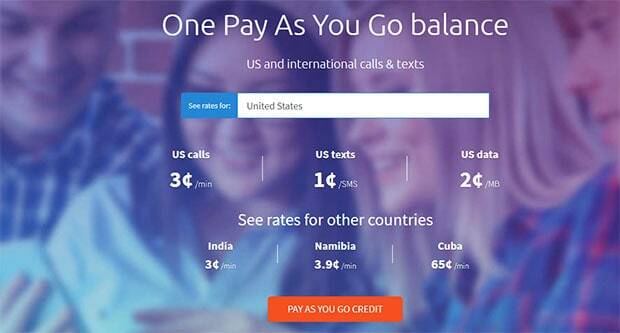 The cost for U.S. calls is 3 cents a minute, 1 cent for texts and 2 cents per MB of data. So if you topped up with $10 you would be able to talk for 333 minutes, send 1000 texts or use 500MB of data. It might be a great option for someone who doesn't want to pay much, and doesn't use much. The folks at Tello Mobile were kind enough to send out a refurbished Samsung Galaxy S7 Edge for me to use on the service. I got the box in the mail and opened it to find a plain white box inside. Since the phone was refurbished it didn't come in the original manufacturer packaging, but the phone did look like it was brand new. The phone came with a factory charger, the phone itself, and that was basically it. 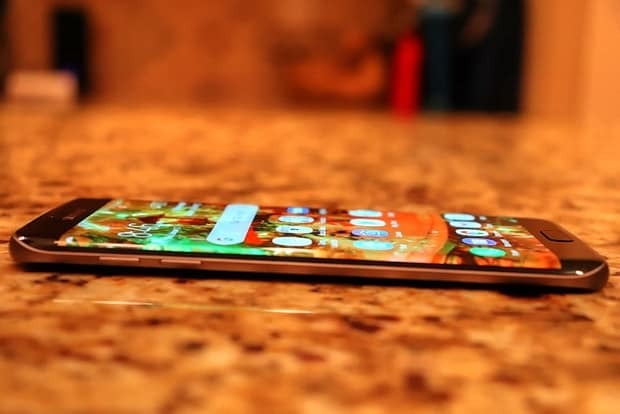 If you don't want to buy a phone from Tello, you can bring any CDMA device free of contract and developed for Sprint, over to Tello. 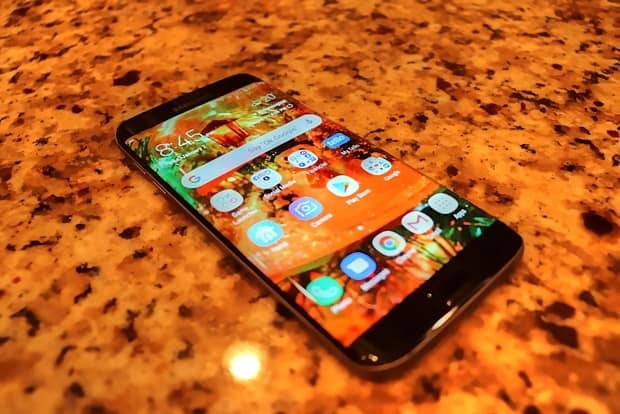 Some unlocked phones made for other carriers can be used as well. 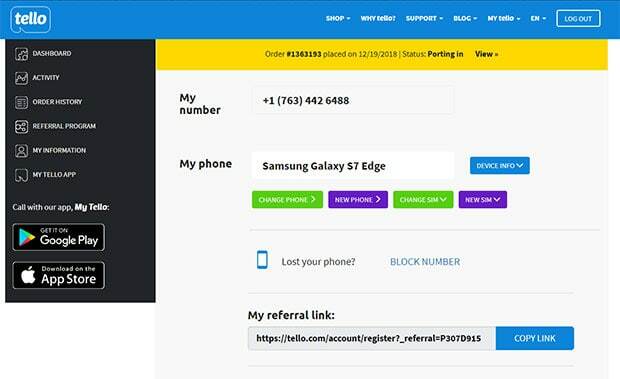 To find out if your phone will work, Go to the Tello site and click on “Shop/Bring Your Own Phone”. From there it will ask you to enter your ESN/IMEI/MEID code and the system will lead you through the process to find out if the phone is compatible. 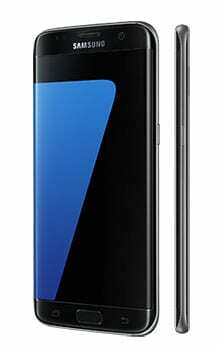 Activating my new Samsung Galaxy S7 Edge from Tello was extremely simple. All I had to do once the phone arrived was to go to my online account that I had created when purchasing the phone, login, and then click on the “Activate Service” button. In the field that came up I just entered the activation code from the outside of the phone's box. Then I turned the phone on after fully charging it. Once the phone booted up, I was up and running and the phone was able to make calls. The one thing about the process that I wasn't a huge fan of was the fact that my phone had to go through a bunch of system updates when I turned it on the first time. 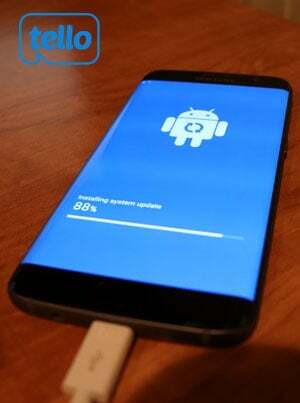 I know the phone was probably sitting on a warehouse shelf for a few months, and as such it was out of date, but it was a bit of a pain to sit through 5 separate Android security updates. It would have been nice to not have to do all that. 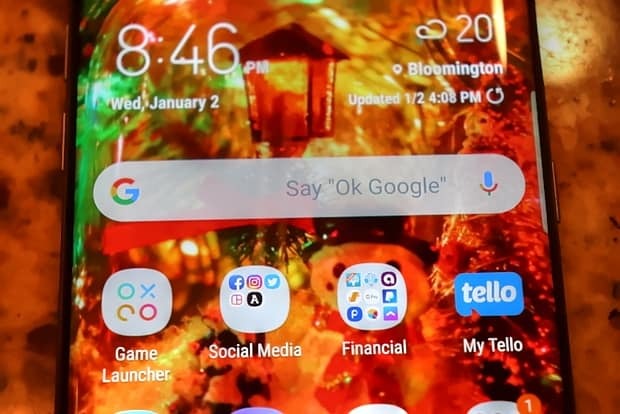 In any event, once everything was up and running I used the phone for a few days alongside my old service, and confirmed that Tello worked well in my area. 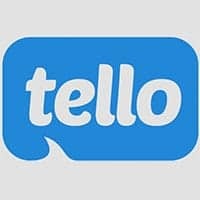 After confirming that Tello was going to be a good fit for my needs, I decided to port my existing cell number to Tello. I've been using the cell number for years and didn't want to lose it. The porting procedure was extremely simple. I just got on the customer support page, and sent them an email with the porting information that their FAQ said that they would need. They needed my name, address, old phone number, old provider, account number and PIN. Once I provided that information in the email, my account showed a notice within a few hours that the porting process had begun. Within 2 days my number was ported over to my new phone. For a few hours I was getting phone calls and text messages on both my phones, my old cracked one, and the new one. They said that sometimes happens but that it would stop after a few hours. It did. So now I've ported my cell number to Tello and there's no turning back. So how is Tello working out now that I've been using it for a few weeks? Am I glad that I made the switch? As of right now I can say that I am absolutely glad I made the switch. While I wasn't unhappy with my old provider, they were slightly more expensive than Tello, and after testing out the service with Tello I saw no difference in coverage, call quality or anything else. Since they were both Sprint MVNOs that makes sense, it was the same network. Very affordable: Depending on your needs your service will be anywhere from $5-$39/month, never more. Much cheaper than the average $83/month phone bill mentioned above! Flexible calling plans: Their calling plans are super flexible, just tailor it to your needs. I don't do much calling, but use a lot of texts and data. Due to my low calling minutes I can use a cheap $10 plan. Others may need to pay for more extra data. Pay for what you use! Switch your plan when you need to: If you need to upgrade your data allowance one month, and then downgrade the following month, you can do that with no problem. Free tethering: Tello offers free tethering for their phones, which is something my old provider didn't offer. So that was an upgrade for me. 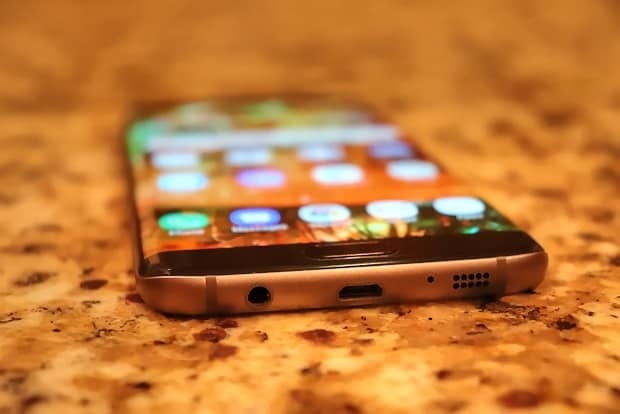 Good phones available: The service has everything from iPhones to Galaxy smartphones available, and you can bring your own phone to the service as well! Make calls on WiFi anywhere in the house, or on the globe! 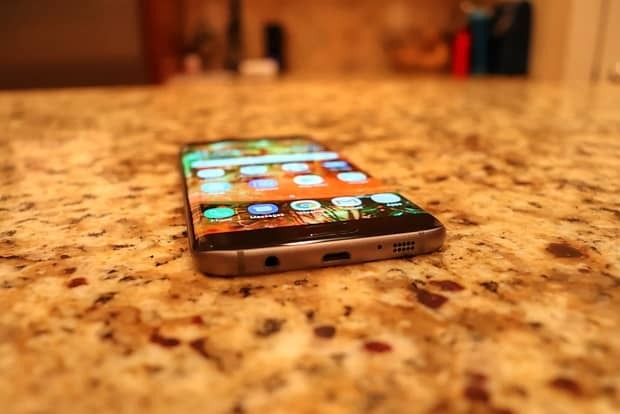 : The Tello app allows you to make WiFi phone calls, so if your reception is bad in the basement, just make sure you're connected to WiFi and make your call through the app. You can also make international calls via the app, so if you're on vacation, just get on WiFi and you can call home! Port your existing number: You can port your existing phone number to the service and keep your existing number. I did this and it was a super simple process. 24/7 friendly Customer Service: You can reach out by phone, email or get a call back 24 hours a day. No roaming: According to Tello, “we do not offer roaming services or national roaming at this time“. That's certainly a downside to be aware of, but thankfully Sprint has such good coverage in our area that it really hasn't been an issue yet. 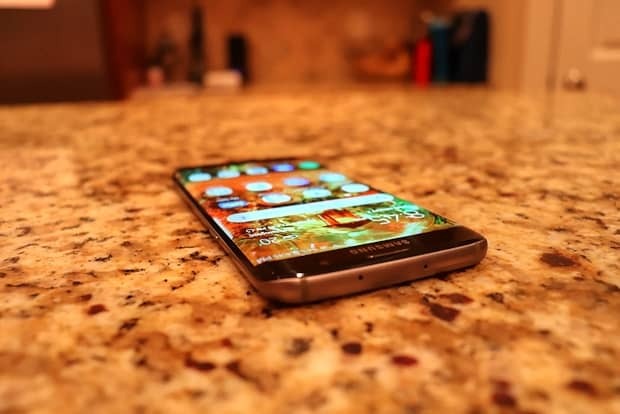 Phone cost is not subsidized: Due to the fact that the service has no contract, the phone cost isn't bundled into the cost of your calling plan. That means it will cost a bit more up front. On the plus side they have a good selection of refurbished phones which will keep the cost down. Tello Mobile popped on my radar a year or two ago as an up and coming new mobile provider with low prices, and good customer service. Since then their prices have dropped even more to the point where I think they're now one of the lowest cost mobile providers I've seen available on the market. I decided to give Tello a try for my mobile service, and liked it so much that I ported my existing cell number over to their service. I've cut my cell bill in half, and so far I've been extremely happy with the service. I can even now use the free tethering on my laptop and other devices, something I didn't have with my other provider. If you're looking for a new low cost cell service, I'd recommend you give Tello a shot. Find out more about the service and sign up via the link below. Are you using Tello Mobile? How has the service worked for you? How much are you saving? Last Edited: 18th January 2019 The content of biblemoneymatters.com is for general information purposes only and does not constitute professional advice. Visitors to biblemoneymatters.com should not act upon the content or information without first seeking appropriate professional advice. In accordance with the latest FTC guidelines, we declare that we have a financial relationship with every company mentioned on this site. Next Post: Should You Change Your Kids’ Lifestyle When You Have A Financial Emergency? Or Not?